I am a member of the Etsy Miniatures in Dollhouse Scales Team and I recently did a guest post for their blog. A behind the scenes look at making my modern fireplace. Making anything in miniature can be a time consuming and fiddly process that requires lateral thinking and imagination to replicate an object from the real world. It all starts with an idea and a design. It is often an image from the real world that provides the inspiration. Working out how you can make a miniature version is often not an easy task! 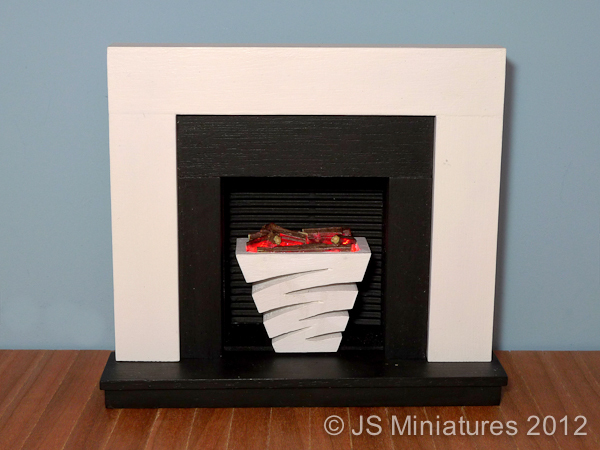 I had an idea for a very contemporary, modern fireplace that would be ideal for modern dolls house families. It had a relatively simple, clean design for the surround with an eye catching grate as the focal point. Nice post. It's always inspiring to learn how people make things.